The Lake Louise Visitor Centre has exhibits focusing on the geology of the Canadian Rockies, including an interactive video featuring Dr. G.O. Morph and a few on the history of Lake Louise. They also have videos on animals, avalanches, history and things to see. The Bow River Loop interpretive trail has signs that highlight the animals that make the river their home. This walk is especially wonderful early or late in the day when light on the water creates a magical feeling in the air. 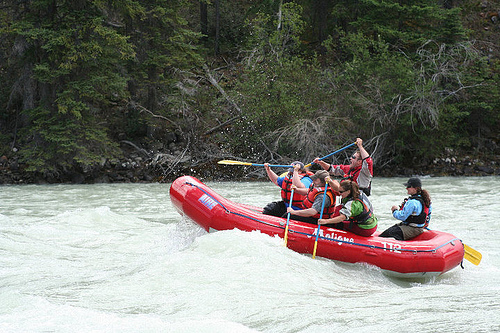 The Lake Louise Summer sightseeing Lift and Gondola provides a panoramic view of the mountains surrounding Lake Louise. On a clear day you can see all the way to Mt. Assiniboine (highest peak in banff National Park). Early and late day light can make the atmosphere just that little more rarefied and beautiful. In July and August, banff National Park interpretive staff provide free guided strolls along the shore of Lake Louise and hikes to the Plain of Six Glaciers Teahouse. 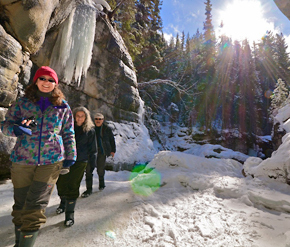 Explore Lake Louise’s history and landscape in more depth and detail.The Plain of Six is considered to be the best hike in the area with the most reward for a moderate effort. Rewards include: mountains, glaciers and often wildlife, with the added bonus of a rustic, charming, log teahouse where they will ply you delightful foodstuffs at the end of the trail. 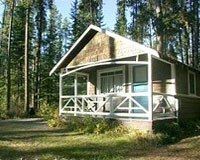 Free interpretive shows are also given at the Lake Louise campground outdoor theatre in the evenings. Check the visitor centre for schedules. You can also visit the Plain of Six Teahouse, and another at nearby Lake Agnes, in western style on horseback. Timberline tours (522-3743) are located behind the Chateau, next to the parking lots. In winter, you can get a horse fix by taking a sleigh ride along the shore of Lake Louise. Canoes can get you to places and views not within easy reach. Again, early and late in the day are the best times to have a peaceful and atmospheric outing on Lake Louise or Moraine Lake. Rentals available at both lakes. For even more ideas, we have a list of what to do when you don’t hike or ski. 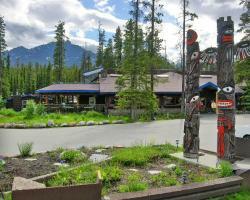 Lake Louise’s restaurants are generally on the high quality end of the spectrum. For such a small place, we must have the best choice in good food in Canada. The Lake Louise Train Station Restaurant, a beautifully restored heritage building, is not only a good place for something to eat, but a piece of living Canadian history. Historic photos adorn the wall for your perusal and there are old-fashioned rail cars behind the log station building. Fireplaces make it very cosy in winter. Also try the Post Hotel dining Room, Baker Creek Bistro, the Elkhorn dining Room (Deer Lodge), the Edelweiss dining Room, the Walliserstube (Chateau Lake Louise), and the Moraine Lake Lodge dining Room.